And although he was right, some additional recent digging has turned up a Royal connection, albeit in the Royal Beer and Wine Cellars! The origins of the Baker name are self explanatory, and originate from the Middle Ages when surnames were first legally required for purposes of identification for taxation, the baker in the village would have been given the surname “Baker” if he didn’t already have one of his own, by the local Lord’s Bailiff or Bailey (and hence the surname Bailey). From then on the name would have stuck although the trade may have changed. Danny Baker’s Story starts in modern times, in the 1790s, with Charles John Baker, was born. He started his working life in Windsor Castle in the 1820s as a Groom in the Royal Beer and Wine Cellars. He worked well and rose to 2nd Yeoman of Her Majesty’s Cellar in the 1830s. By the standards of the day these were well paid appointments. He would have had some responsibility for Wine and Beer ordering stock to keep availability at the right level for the Royal Family and Royal entertaining. Unfortunately for Charles his wife died in 1837, and he followed three months later in 1838. This left their two sons Charles John and Robert William as orphans at the tender ages of nine and six respectively. However all was not lost as the Royal Family looked after their own, and the two boys each received £15 per annum to pay for their upkeep. To put this into perspective, a Farm Labourer at the time may have earned £20-£30 per annum. 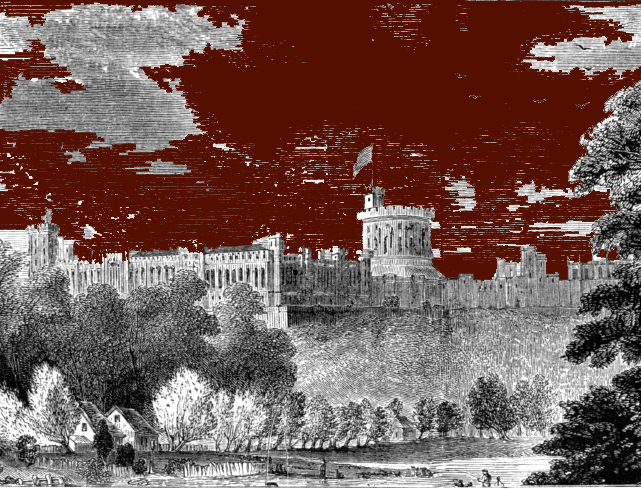 The boys most likely stayed with a lucky relative, until Charles’s death in 1840, and until Robert William was twelve in 1845, when the Royal allowance stopped and he was able to get an apprenticeship, most likely with Royal Patronage, as a Chemist, a well paid and highly respected trade. Robert Wil liam moved to London to take up his trade, with a Scotsman, Robert Watson, in Hanover Square, Westminster, a prestigious Middle Class area. He was to continue in this trade for the rest of his life, over 50 years, as a Chemist and Druggist. He brought great stability to his Family living for over 30 years in Princes Road Kensington, where he raised eight children with his wife Ann (a local girl). He lived to his 60s and left £279 to his wife, the equivalent of about £30,000 in modern purchasing power. His eldest son, also called Robert William, failed to follow his father into the Chemist’s trade, instead he was apprenticed to a Lamp Maker, making Tin Signal Lamps, most likely for the railways, a much less prestigious trade than his Father’s. This may show some form of family split, as Robert William is soon living away from the upmarket surroundings of Kensington, in the working class East End in Bow and Poplar, not only that but by his early twenties he is living, apparently unmarried, with Maria Clark, a country girl from Salisbury in Wiltshire, who had moved to London. The couple have severn children in the 12 years between 1877 and 1889, five boys and three girls. During that time Robert William moved from making signal Lamps for the Railways, to working as a Journeyman Tinsmith in a preserved food factory, i.e. making Tins for canned food, actually a new technology at the time, so not a bad trade for a working class man, but an extreme step down in a single generation, from his Father and Grand Father’s positions in society. The move to the East end was a bad one for Robert William, and living where he did in the East End, down by the docks, was even worse, as shown in the same year that his youngest son is born, Robert William contracts Typhoid and is dead within two weeks on Christmas Eve 1889, leaving his wife Maria to fend for her seven children on her own from Christmas Day. Maria would fight to keep body and soul together for ten years, working as a Housekeeper, and quite possibly running a shop as the boys are recorded as working as shop boys and errand boys from an early age. Between 1891-1901 the family lived in exactly the same area of Poplar, in Claremont Terrace and Alpha Road. This area was slowly improving through the 1890s especially around Alpha Road. The Booth inspectors described Alpha Road as being comfortable looking with neat gardens inhabited by Dock Foremen and permanent hands. In 1899 Maria finds some love in her life when she met and married a Swedish Seaman, Carl Oscar Blom, living in the local Scandinavian Seaman’s Hostel in Poplar by the Docks. It gave her some short lived solace, but tragically within two years, Carl had died on his travels, in Plymouth Workhouse Infirmary. It is possible that Maria never hears what happened to him, simply never sees him again. But life must go on , The family become an institution in the Poplar Docklands, Dockers, Blacksmith’s Strikers, Chemical Works Stokers, Barman, Pawn Brokers Assistant, and a Wood Merchant’s Clerk. Maria herself would survive until 1930 seeing in her mid-seventies. Danny Baker’s line came from Maria’s son Thomas, Shop Boy, Barman, and then a Dock Labourer right up to 1950. However, prior to this there was The Great War. The Bakers attempted to do their bit, Thomas served in the Royal Army Medical Corps, and his younger brother Arthur in the Bedfordshire Regiment, fortunately for the two of them, they got shipped separately to India, which compared to the Western Front or the Dardanelles was a cushy posting, months on a ship sailing through the Mediterranean and the Tropics, then a bullet free existence in the Raj. It was about time the Bakers got a lucky break, and the First World War was certainly the time to get one. Their time in uniform was uneventful, but there is an interesting glimpse of some foibles in the Army medical records, both had varicose veins (possibly a family trait, so watch your legs Danny) in addition Thomas had very poor eyesight and a large hairy mole on the back of his upper left arm! Once back home, life for Thomas was back to normal, and back to the Docks, right up until 1950. Danny’s father would follow his father Thomas into the same trade. Like what you’ve read? If you’d like a Time Detectives Family Tree drop Time Detectives an email on paulmcneil@timedetectives.co.uk they cost £300 – £600 and make a great present.